David W. Garland, one of the world’s leading sociologists in crime and punishment, will be the featured speaker at the Beto Chair Lecture Series on Tuesday (Oct. 19). His topic, "Peculiar Institution: America's Death Penalty in an Age of Abolition," will be presented at 9:30 a.m. in the Hazel B. Kerper Courtroom. Garland is the Arthur T. Vanderbilt Professor at New York University School of Law and is the founding editor of the interdisciplinary journal Punishment & Society. His most recent book, “The Culture of Control: Crime and Social Order in Contemporary Society,” was published by University of Chicago Press in 2001 and already has been translated into Italian, Spanish and Chinese. “The Culture of Control” charts contemporary trends in penal and social control, arguing that the crime policies which emerged in the U.S. and the United Kingdom after 1975 are political and cultural adaptations to the new risks and problems created by “late modern” ways of life. Garland is the author of several prize-winning studies, including “Punishment and Modern Society: A Study in Social Theory,” which won distinguished book awards from the American Sociological Association and the Society for the Study of Social Problems, and “Punishment and Welfare: The History of Penal Strategies,” which won the International Society of Criminology's prize for best study over a five-year period. 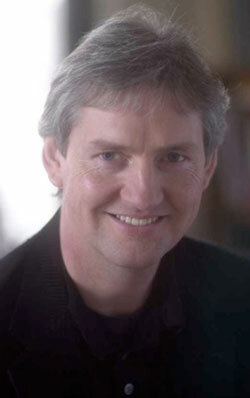 Garland received his law degree and a doctorate in socio-legal studies from the University of Edinburgh, as well as a master’s degree in criminology from the University of Sheffield. Garland joined the New York University School of Law faculty in 1997. He also holds a joint appointment as professor of sociology in the College of Arts and Sciences, where he teaches graduate classes in social theory and undergraduate courses in criminology. In 1993, he was awarded the Sellin-Glueck Prize by the American Society of Criminology for distinguished scholarly contributions to criminology by a non-American scholar. He is a fellow of the Royal Society of Edinburgh and of the American Society of Criminology, as well as a fellow-designate of the Center of Advanced Study in the Behavioral Sciences in Stanford, Calif. In 2006, he was awarded a J.S. Guggenheim Fellowship for his research on capital punishment and American society. For more information, contact Beth Kuhles, criminal justice public relations officer, at exk005@shsu.edu or 936.294.4425. A father who lost a toddler to suspected child abuse and family members of a victim of a drunken driver will participate in a panel discussion at the SHSU’s College of Criminal Justice on Tuesday (Oct. 19). The event, hosted by the Victim Studies Committee and facilitated by criminal justice professor Raymond Teske, will feature members of Parents of Murdered Children, a self-help group dedicated to helping the family and friends of those who have lost their lives to violence. The speakers will discuss their experiences as victims and with the criminal justice system. The event will be held from 6-8 p.m. in the Hazel B. Kerper Courtroom in the Criminal Justice Center. The presentation will be followed by a question and answer period and refreshments in the center’s lobby. Parents of Murdered Children is a non-profit, self-help organization designed to provide support and assistance to all survivors of homicide victims, while working to create a world free of murder. The organization helps survivors deal with acute grief. The Houston chapter was formed in 1981. They have been active in the Victim's Rights Campaign for many years. They also provide Victim Impact Panels and Court Accompaniment. Donetta Goodall, the vice chancellor of academic affairs and student success at the Lone Star College System, will discuss the avenues she has taken in finding her own success on Wednesday (Oct. 20). The Grassroots speaker series lecture will be from 5-7 p.m. in the College of Humanities and Social Sciences Building Room C070. As vice chancellor of academic affairs and student success, Goodall provides system-wide leadership for instructional and student support programs and services. Prior to being selected for this position, she served as vice president for academic transfer, general and developmental education at Austin Community College. Goodall received her bachelor's degree in nursing from Prairie View A&M University and a Master of Science degree in nursing, with a specialty in cardiovascular nursing, from Texas Woman's University. Having completed post-graduate course work at the University of Houston and Texas State University—San Marcos, Goodall received her doctorate in educational administration at the University of Texas at Austin. Inspired by the lessons they learned in Da Chen’s novel “China’s Son,” students in SHSU’s SAM 136 classes are reaching out to the Bearkat and Huntsville communities for the sake of those in need. Through month of October, students have distributed collection boxes in high traffic buildings around campus and in the community as part of a “Soles4Souls” drive. The drive is being held in conjunction with the Bearkats Read to Succeed author’s forum, which will bring Chen to campus next week for a series of lectures and activities. Chen’s novel is this year’s selection for the Read to Succeed program. “Da Chen grew up not having shoes to wear, and we wanted connect that experience to the real life experience of citizens in our own community who currently have the same need for something so basic as shoes to wear,” said Kay Angrove, director of SHSU’s First Year Experience Office. “Introducing service learning into the first-year experience of our freshmen is a way for our new students to engage with the local community in meaningful ways,” Angrove said. The Nashville-based organization estimates that Americans have 1.5 billion pairs of unused shoes lying in their closets, which could be collected to make a tangible difference in someone's life, according to Angrove. Gently-worn shoes collected as part of the student-led initiative will benefit those in need in the Huntsville area. The Bearkats Read to Succeed Author’s Forum will be held Monday and Tuesday (Oct 18-19). Chen will present three, hour-long lectures on Monday, beginning at 9 a.m. in the Lowman Student Center Theatre. For more information on the Soles4Souls drive, contact Angrove at 936.294.3422 or kangrove@shsu.edu, or for a complete schedule of author’s forum events, visit http://www.shsu.edu/~fye_www/events.html. The Student Activities department will “fire” students up for the Battle of the Piney Woods during its annual spirit rally on Thursday (Oct. 21). 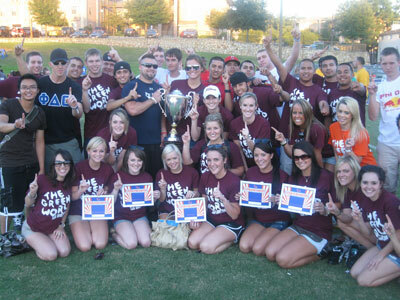 Firefest will begin at 7 p.m. at Intramural Field No. 3. The event will get warmed up with a professional fireworks display and a bonfire, followed by a few words by head football coach Willie Fritz and performances by the Bearkat Marching Band, the SHSU cheerleaders, Sammy the Bearkat and the Orange Pride dance team. Bearkat football players will also be on hand during the event, which will also include airbrushed T-shirts, henna tattoos, giant chair photo key chains and free food. In addition, various university departments will have tents with games where students can win giveaways, according to Student Activities assistant director Brandon Cooper. “FireFest is such an amazing event for students,” Cooper said. “It is the epitome of spirit and traditions. “From the bonfire to the fireworks it really is a way to 'light up' the night and the Bearkat spirit and support that is needed for our men in orange." Firefest is held annually to celebrate the SHSU versus Stephen F. Austin football game, which will be held on Saturday (Oct. 23), at 2 p.m. at Reliant Stadium in Houston. Sam Houston State University dancers will perform a variety of student-choreographed pieces as part of the semiannual Dances@8 fundraiser concert on Wednesday and Thursday (Oct. 20-21). Performances will begin at 8 p.m. each evening in the Performing Arts Center Dance Theatre. The Dances@8 fundraising concert is supported by the Chi Tau Epsilon Dance Honor Society. “It is a great way for each student to put their talent out on the stage as well as to show the faculty in our dance department how brilliant we are as individuals,” said Jessica Cantu, dance major and Chi Tau Epsilon president. The shows, which will feature different pieces each evening, will include undergraduate- and graduate-choreographed dances from such genres as jazz, contemporary, ballet, Irish two-step and hip-hop. “What is great about this show is that you do not have to be a dance major. It is amazing watching non-dance majors dance and love it just as much as we do,” Cantu said. “To see the effort and all the hard work each individual puts into their own piece or performing on the stage is the greatest thing. Choreographers for the show include Cantu, Sarah Peterson, Danielle Gonzaba, Caitlin Franco, Julian Grandberry, Shohei Iwahama, Ruben Trevino, Jarell Rochelle, Cordarrel White, Shannon Doerr, Michelle Johnson, Leah Brown, Alexandria Hess, Otis Berry and Jesus Acosta. “This concert is a great way for our students to get their own work out on the stage and an opportunity for the faculty to see what amazing students they have,” said Jonathan Charles, assistant professor of dance. Tickets are $8, and all proceeds benefit Chi Tau Epsilon. Future teachers will have the opportunity to gain field experience in a Spanish primary school with the implementation of a study abroad program through the Sam Houston State University curriculum and instruction department. Undergraduate students will have the opportunity to take EED 374 “Human Growth and Learning” and EED 385 “Creating a Positive Learning Environment” for six hours of credit in Valencia, Spain, during the first summer session, June 1-27, 2011. Graduate courses will also be available. The first informational meeting will be held at 6 p.m. on Monday (Oct. 25) in the lobby of the curriculum and instruction office, on the second floor of the Teacher Education Center. “Living, learning and attempting to communicate in a foreign environment will give you the first-hand experience to better understand and empathize with the diverse learners in your future classrooms,” said Karla Eidson, assistant professor of education. “Research proves that the most effective teacher education programs with regard to promoting cross-cultural literacy are those that actually immerse pre-service teachers in other cultures in other nations for teacher internships. The cost of the trip is expected to be approximately $2,500, plus tuition and airfare. The cost includes the stay in the Galileo Galilei Student Dormitories; weekly cleaning, including bed and bathroom linens; breakfast, lunch and diner meal plans; all transportation costs, including field experience school site visits; student excursions, including daytrips in Valencia and excursion to Barcelona; and a Paris field trip, including lodging and one “Paris Pass” which includes all Paris museum entrances, metro fares and a dinner cruise on the Seine. Scholarships are available. The deadline for scholarships is Nov. 1. For more information, contact Eidson at kwe002@shsu.edu or 936.294.4066 or visit http://www.shsu.edu/~cai_www/. The School of Music will welcome two guest performers as part of the events slated to begin on Monday (Oct. 18). That day, “China’s Son” author Da Chen, who will be on campus as part of the Bearkats Read to Succeed author’s forum, will conduct an informal masterclass session playing the Chinese bamboo flute at 3 p.m. in the Performing Arts Center Recital Hall. Flute majors will also play some solo literature and etudes, according to Kathy Daniel, associate professor of flute. On Thursday (Oct. 21), guest clarinetist Michael Dean will conduct a masterclass and perform in a recital, beginning at 2 p.m. The masterclass, which will be in Music Building Room 219, will include student performances by juniors Brooke Stevens and Stephanie Krass, as well as senior Matt Kaye. That evening, Dean will perform a recital of new and contemporary works for the clarinet at 7:30 p.m. in the Performing Arts Center Recital Hall. “One of the most interesting works on the recital is ‘Half Moon at Checkerboard Mesa’ by Utah composer and former MTV rocker Phillip Kent Bimstein,” Dean said. “Phillip recorded natural sounds—such as frogs, crickets and coyotes—near his home close to Zion National Park in southern Utah and then shaped them into musical phrases and rhythms on his computer. “He then wrote a score for a live musician to perform with the taped arrangement of the sounds. The piece is a fun mix of clarinet, hip-hopping frogs, and ‘80s rock and roll,” he said. Dean has performed internationally and across the United States as a recitalist and master clinician to much acclaim. Recent solo concert tours have taken him to England, Florida, New York and California, and his recent solo CD, “Desertscape: New Music for Clarinet,” consists of works he has commissioned and premiered. He recorded “Half Moon at Checkerboard Mesa” and other works on his “Red Mesa Trio” CD. Dean is an associate professor of clarinet and saxophone at Southeast Missouri State University. He is also immediate past president of the National Association of College Wind and Percussion Instructors. Music students, as well as a faculty group, will perform the classical and some classic jazz and rock during two performances beginning Wednesday (Oct. 20). The SHSU Jazz Ensemble and Jazz Lab Band, directed by director of jazz studies Aric Schneller, will present “Shufflin’ and Stones,” at 7:30 p.m. in the Performing Arts Center Concert Hall. The concert, which will open with four songs by the SHSU Faculty Jazz Combo, will include performances of “Satin Doll,” “Li’l Darlin’,” “What Are You Doing The Rest of Your Life,” “All of Me,” and will close with the jazz ensemble’s rendition of the Rolling Stones’ “Honky Tonk Woman,” featuring Schneller on vocals. Tickets are $15 for general admission and $12 for students and senior citizens. On Saturday (Oct. 23), the SHSU Concert Choir, accompanied by chamber orchestra, organ, and percussion ensemble, will present a concert highlighting student soloists in a variety of styles and repertoire. The performance will begin at 7:30 p.m. in the PAC Concert Hall. The program will include “sacred music from the Renaissance, Baroque, Classical, and Romantic periods, as well as the 20th century,” including Wolfgang Amadeus Mozart’s “Regina Coeli,” Francesco Durant’s “Magnificat” and Ariel Ramirez’s “Misa Criolla,” according to Eric Esparza, a voice faculty member in the School of Music. The Student Advising and Mentoring Center will give students considering graduate school all of the information they need during an informational seminar on Monday (Oct. 18). The presentation will be held from 5-6:30 p.m. in the SAM Center classroom, located in College of Humanities and Social Sciences Building Room 190. SAM Center graduate fellow and psychology graduate student Emily Dolphin will present the session, which will include information on financial aid, organizing applications and the grad school timeline. Future sessions will be held on Nov. 6, from 10:30 a.m. to noon at The University Center in The Woodlands and on Nov. 11, from 11 a.m. to 12:30 p.m. in the SAM Center classroom. For more information, contact Dolphin at eld007@shsu.edu or 936.294.4361. Eight students in the Ronald E. McNair Postbaccalaureate Achievement Program recently presented their research to the campus community in preparation for regional and national conferences they will attend later in the year. “As part of the McNair Program, scholars are required to collaborate on a research project with a faculty mentor and present it to the campus community at the end of the summer,” said Lydia C. Fox, McNair program director. The McNair Program strives to prepare students for a doctoral education, serving students from low-income families, first-generation college students, and underrepresented minority students. Faculty mentors for the program include Craig Henderson, psychology; Melissa Morphew, English; Kimberly Bell, English; Sujey Vega, sociology; Lee Bobout, English; Patrick Lewis, biology; Donald Freeman, economics and international business; Darren Williams, chemistry; and Hui Fang, physics. For more information on the program, call 936.294.3279, e-mail McNair@shsu.edu or visit www.shsu.edu/mcnair. Sam Houston State University’s fraternities and sororities showed their commitment to community service with a number of activities as part of Greek Week, Sept. 27 through Oct. 1. A “bowl-a-thon” that raised more than $1,000 for the United Way and blood drive that collected 98 units of blood were among the events that helped start the week off. “Two days later (after the blood drive), a member of Sigma Sigma Sigma sorority received a phone call from the sister of a little girl who received that sorority member's blood thanking her for doing so,” said Jerrell Sherman, Greek Life coordinator. “The person’s little sister has leukemia and really needed that blood, as she has a rare blood type. On Tuesday, groups of 30 were sent to 22 different locations in the Huntsville community to perform various acts of service with children, senior citizens and animal shelters. The final philanthropic event included a “can castle” competition for which all teams competed to construct the best castle out of cans. Cans and non-perishable food items used in the competition were taken to the Good Shepherd Mission. “They reported that they received half a ton of food, which is around 1,000 pounds, with an estimate of between 3,000-4,000 cans and non-perishable food items that was donated to the Good Shepherd Mission,” Sherman said. Also as part of Greek Week, members went to the volleyball game against Texas A&M Corpus Christi to support the athletics department. The Greek Week committee included Brittney Randolph, Erich Stolz, Bery Crispin, Tim Samuel, Jeanine Bias and Sherman. “The Greeks really outdid themselves,” Sherman said. “We wanted to make it fun but also to have a great amount of philanthropy and community service to not only give back to the Huntsville community but also to change and/or show a more positive the image of what it means to be Greek on campus and in the Huntsville community.